Film Actually: 5 Thoughts On "Gods Of Egypt"
Referring back to the IMDb page, it's almost difficult to imagine how this film can't be at least kind of good. That's because the cast is actually very solid. Gerard Butler is popular with fans and redefined the exaggerated sword-and-sandals genre for a generation in "300;" Nikolaj Coster-Waldau has gained an enormous following as Jaime Lannister in "Game Of Thrones;" Chadwick Boseman is considered a serious up-and-comer in the film industry; Rufus Sewell has had hits and misses but was great in successful projects like "The Illusionist" and more recently "The Man In The High Castle"; and Geoffrey Rush has an Academy Award! That adds up to quite a blend of talent and fan appeal, to the point that one almost has to assume aspects of the film will be enjoyable. As mentioned, we've grown used to a campy, fictionalized version of ancient Egypt, and in some instances it's perfectly fine, just as exaggerated versions of the old American West or the Caribbean pirates make for good adventures. For instance, the animated film "The Prince Of Egypt" did well to present Egypt as a towering golden wonderland because it appeals to children. Similarly, innumerable Egyptian themes that appear popularly in online gaming succeed by way of presenting wonders and treasures. Popular titles like Ramesses Riches, Pharaoh's Treasure, and others available here showcase a glitzy, glamorous version of history that's fun to play through even if it may be inaccurate. But in a live action film, it would be nice to see something other than a ridiculous landscape of pyramids and towering, unrealistic golden statues. That's not to say it has to be entirely historically accurate, but stereotypical fictionalization just feels lazy. 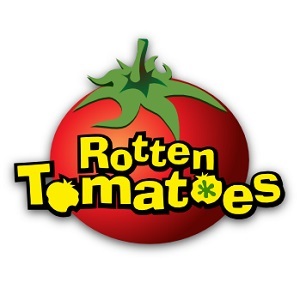 If you've tracked the publicity surrounding this film since the release of the trailer, you might have noticed that it's taking a lot of heat for alleged "whitewashing" of the cast (meaning characters that historically would not have been white are being depicted by white actors). This isn't always a huge deal, and sometimes the best actor for a role isn't necessarily the one we'd expect from a racial standpoint. But putting together a whole cast of Egyptians with white actors at this point is lazy, ridiculous, and even insulting. 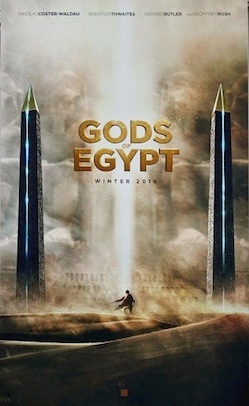 Particularly in the wake of the epic flop "Exodus: Gods and Kings," which also faced whitewashing allegations regarding an ancient Egyptian setting, one would think the folks behind this new film might have been more considerate. At the very least, representatives of the film quoted here have apologized, but this is really just the latest example of a persistent problem that's starting to genuinely cheapen films. The end of 2015 has been and will continue to be packed with major film releases, and they'll bleed over into January a little bit as well. But usually a month or two into the new year, things tend to cool off a little bit, and this is just when "Gods Of Egypt" will be released. Going by this list of February 2016 releases, it will be competing with a few titles like "Pride and Prejudice" and "Deadpool," but it might just be the biggest film at the cinema for the better part of a month. That could mean that, despite the issues listed above, it'll end up making an incredible amount of money.